We return to the Disney content with a bang! 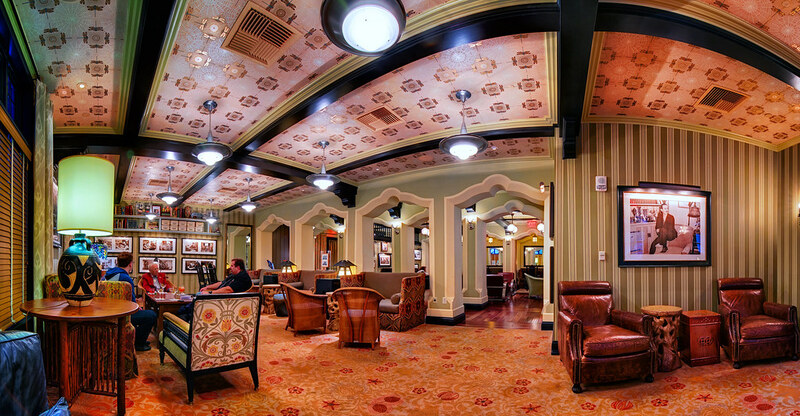 This is my second and final shot of the 1901 Lounge on Buena Vista Street – California Adventure’s counterpart to Club 33. It might just be one of the most relaxing places in the Disneyland Resort. (and if you look off to the left in this photo you might just spot Disney Legend Bob Gurr reclining in his chair). This entry was posted in Buena Vista Street and tagged 1901, Buena Vista Street, carthay, Club 33, HDR, Lounge, Walt Disney. Bookmark the permalink.